I’m someone who always loves to have a warm beverage in hand, especially as the weather starts to cool down! As I shared last week, this used to mean bottomless cups of coffee and trading in my fatigue for the caffeine jitters. Thankfully, this is no longer the case! Although I still enjoy my coffee, as much as possible I aim to follow the guidelines I shared in last weeks blog post to make my morning coffee a more health-conscious choice. 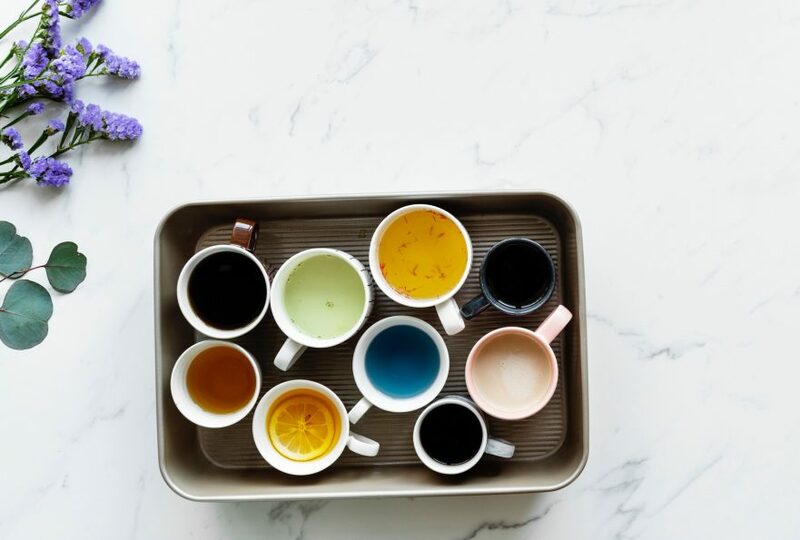 I’ve also diversified my beverage selection after discovering a number of delicious, energy-boosting coffee alternatives that I’m eager to share with you today! 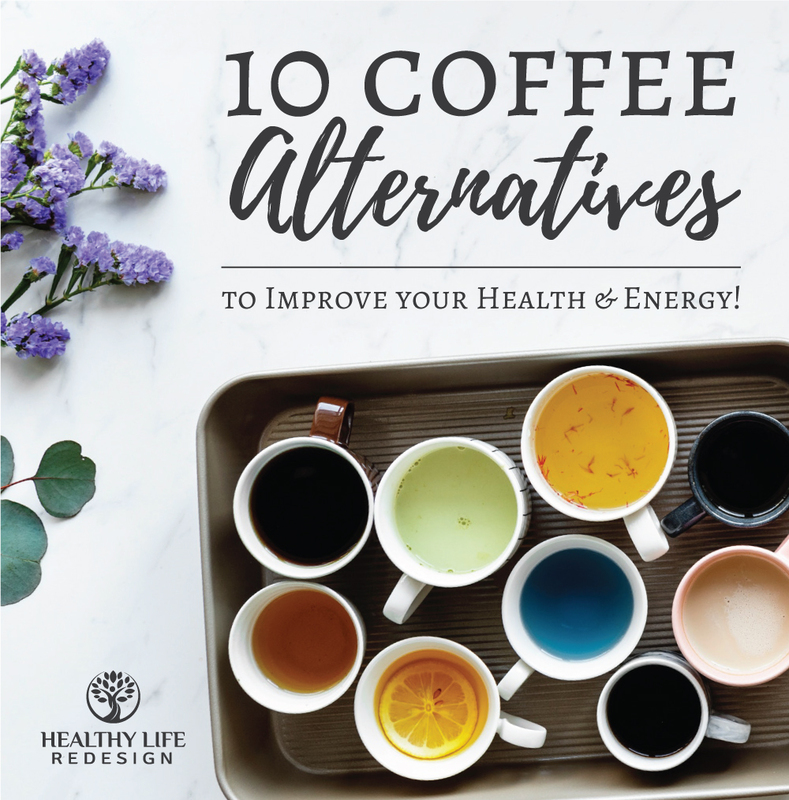 Whether you’re looking to discover new teas and hot beverages to help you minimize your caffeine intake or you’d simply like to gain some new ideas when it comes to warm beverages to sip on this fall and winter, I hope that you find inspiration in the list of both caffeinated and caffeine-free coffee alternatives below! Although green tea contains caffeine, in comparison to coffee it contains only 50% as much caffeine per cup. It also contains l-theanine, which is calming to your nervous system and helps to promote alpha brain wave activity (which is the type of brain waves that occur when you’re in a meditative state). Therefore, if you’re looking for a morning pick-me-up without the coffee-jitters, green tea makes for a balanced option! There are so many varieties of green tea to choose from, including sencha, gunpowder, jasmine and hojicha! They all have different tastes, so if you have had green tea before without becoming a fan I encourage you to try again! My current favourites are jasmine, which has a fresh floral flavor, and hojicha, which is rich, nutty and slightly reminiscent of coffee. Have you tried a matcha latte before? If not, this is something to get excited about! Matcha is powdered green tea, and it’s even higher in antioxidants than regular green tea! This is because it’s grown differently than regular green tea, and also because you’re drinking the powdered leaves in your latte instead of just the tea that was steeped from the leaves. More plant matter consumed = more antioxidants to support your health! Matcha is bitter on it’s own and because of this matcha lattes at most coffee shops are often way oversweetened with sugars and syrups. If you’re ordering a matcha latte at a coffee shop, I suggest instead asking for them to make it “half-sweet”. However, my favourite way to enjoy a matcha latte is at home! 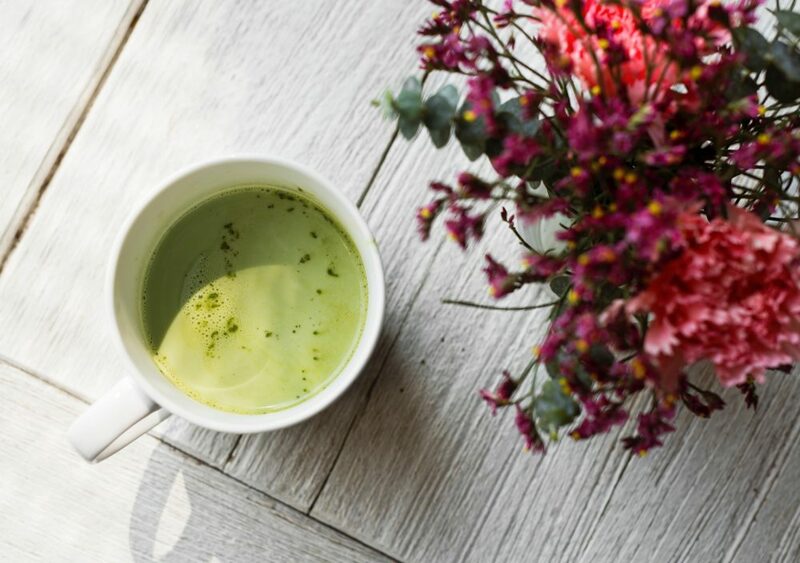 All you need to make a dairy-free matcha latte is matcha powder, almond or coconut milk, a little bit of water and a natural sweetener like maple syrup, stevia or honey. Simply add 1.5 teaspoons of matcha to 3 tbsp of hot water and stir to dissolve before adding 1.5 to 2 teaspoons of maple syrup and 1-1/4 cups of almond or coconut milk. To make it frothy, simply add all ingredients to a small single serve blender and process on high before serving. I used the premium organic matcha powder from OM Foods, which is delicious! Oolong tea is a Chinese tea that is a cross between black and green tea. 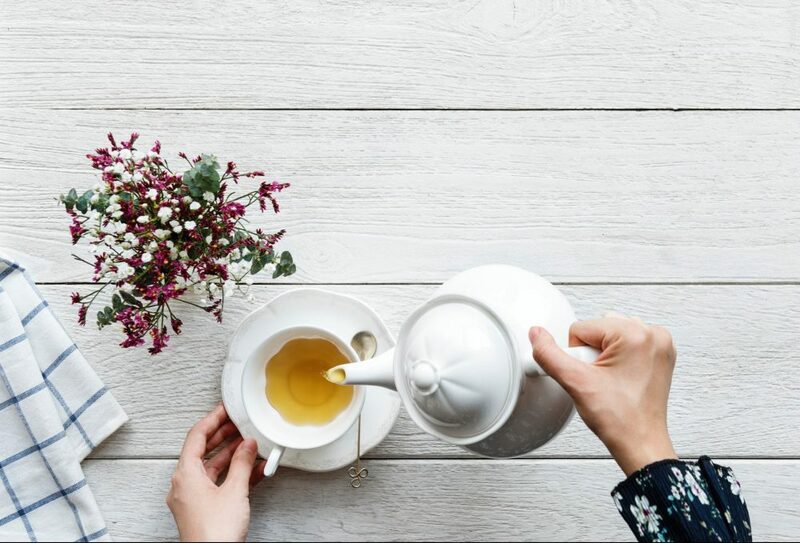 Did you know that green, black and oolong teas are all from the SAME plant, which is called Camelia sinensis? The differences are all in regards to how the teas are processed… the flavour differences come down to how they are roasted, toasted and fermented. Like green tea, there is a lot of variation in taste for Oolong teas from sweet to nutty or toasted and varying from light to full-bodied depending on how it’s cultivated and processed. One of the reasons that I LOVE exploring new teas is because there are endless flavour possibilities within each variety! Yerba Mate (pronounced mat-ay) is a tea that is produced from a tropical tree in South America, and it’s known as one of the best coffee alternatives if you’re still looking for that caffeine-kick. Yerba Mate only contains slightly less caffeine than coffee, but like green tea, it also contains other properties that make it less likely to cause a jittery or anxious caffeine-buzz. Although Yerba Mate can be drunk on its own, my favourite way to enjoy it is as Chai Mate, which also infuses fall spices like ginger, cinnamon, allspice, nutmeg, clove and cardamom. I find that unlike a black tea chai, a yerba mate chai doesn’t require the addition of any honey or coconut milk to suit my liking! This anti-inflammatory dairy-free drink is deliciously warming and is similar in flavour to a spice-infused chai latte. Turmeric is the bright yellow ingredient that provides the beauty as well as the health benefits for this drink, and it’s been studied as a powerful herb that can help to prevent conditions like cancer, depression, and arthritis! My own personal Golden Milk recipe also includes cinnamon, nutmeg and maca (a hormone-balancing and energizing herb). I drink my Maca-Infused Golden Milk Turmeric Tea as one of my go-to remedies when I’m feeling tired and needing a boost… it picks me up each and every time! Rooibos tea (pronounced roy-bos) is a light red tea that’s incredibly rich in antioxidants and has a multitude of health benefits! It’s a mild tea that can be enjoyed hot or iced. The flavour is slightly sweet and it’s often infused with other flavours like vanilla, caramel or various fruits. 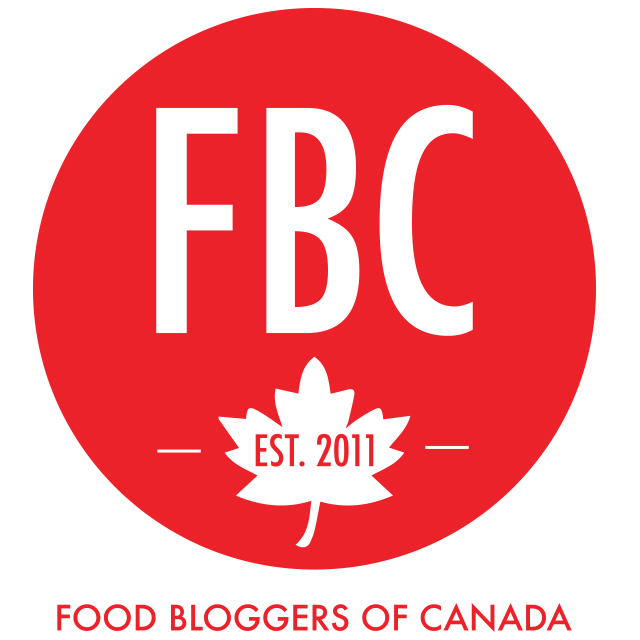 One of my favourite options is an herbal rooibos chai, which infuses flavours like cinnamon, cardamom, and clove. It’s a perfect caffeine-free drink to enjoy this fall! What is chaga? It’s a mushroom! But don’t let that deter you from trying this light and earthy tea. Chaga is incredibly high in antioxidants and has been rated as one of the highest “Oxygen Radical Absorbent Capacity” foods in the world! Chaga mushrooms are touted for both cancer prevention and treatment, as well as their ability to boost our immune system, improve our physical endurance, and to combat inflammation. To make a cup of chaga tea, simply add 1 cup of freshly boiled water to 1 tsp of powdered chaga mushroom. You can buy chaga powder at most health food stores, as well as online. Chicory tea makes for one of the best coffee alternatives that I’ve found from a taste standpoint, and I often suggest it to those on my Elimination Diet Meal Plan who are missing their morning coffee. Like coffee, it’s dark in colour and also has a flavour that’s rich and nutty yet slightly bitter like your morning cup of joe. I drink it black, but optionally you could sweeten it up to your liking. Chicory tea is made from the dried root of the chicory plant. Chicory is in the same plant-family as dandelions, and dandelion root is another great option for a coffee-like tea alternative that as a bonus provides a boost to your liver detoxification. Like dandelion root, chicory also provides benefit to your liver! In addition, it’s filled with antioxidants and has anti-inflammatory properties that support your overall health. You can purchase chicory root in the bulk section at most health food stores and it can also be found in various combinations like this “Kick Start” coffee-replacement blend from Harmonic Arts, which contains a small amount of caffeine since it also contains yerba mate. I hope you’ll give chicory a try, and let me know what you think! 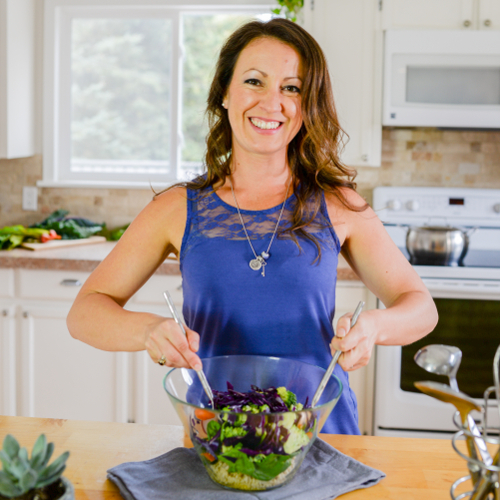 Holy Basil is an Ayurvedic herb that’s also referred to as Tulsi. It’s one of my favourite herbs because it helps to improve circulation to the brain and to improve focus, while also balancing blood sugar and helping you to manage anxiety. That all sounds pretty great, doesn’t it? Although Holy Basil can be purchased in the bulk section of most health food stores, it does have a slightly medicinal taste on its own and I much prefer flavoured varieties! 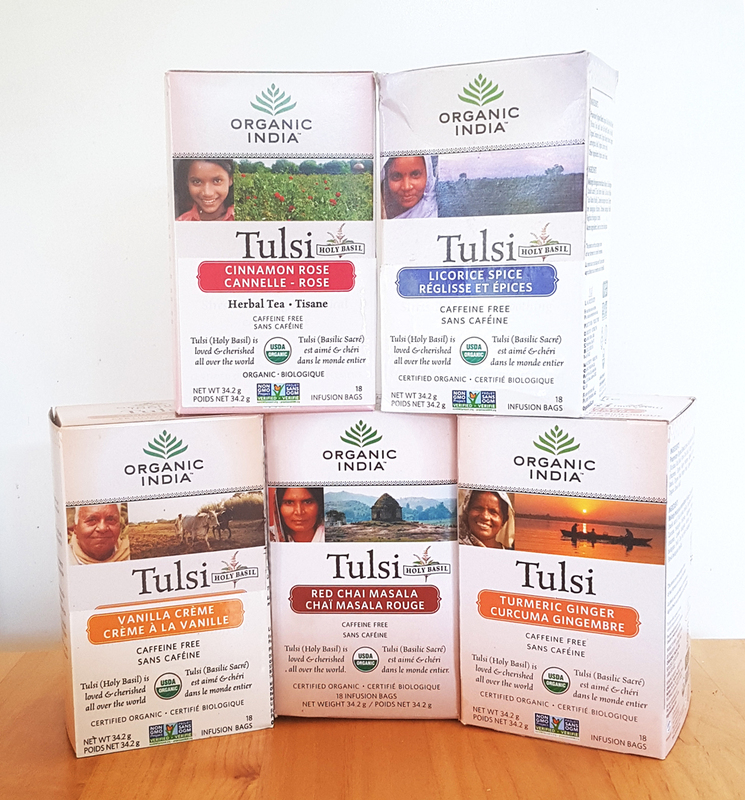 I’ve developed quite the obsession with the Tulsi tea line from Organic India because they have so many delicious flavours with both caffeinated and caffeine-free options. I have 5 different flavours in my tea drawer at home right now (or should l say drawers… yes, I actually have 2 drawers FULL of tea!). My current favourites are both the Cinnamon Rose, which I find uplifting in the afternoon, and the Vanilla Creme, which is calming because it also contains chamomile. 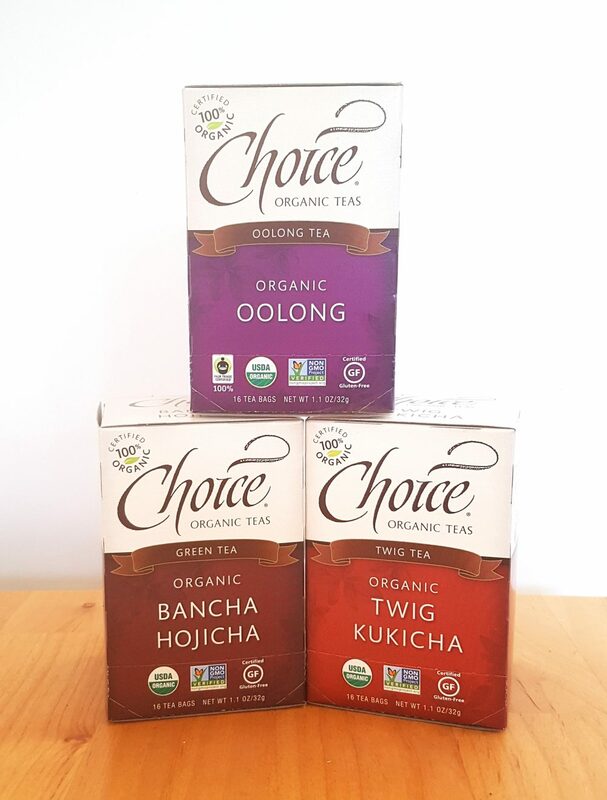 Comment to let me know if you’ve ever tried these teas, and if so which one is your favourite! There are so many caffeine-free herbal tea options that make delicious coffee alternatives, even though they may taste nothing like coffee themselves! Licorice tea, which I love because it’s naturally sweet! I hope that I’ve given you some inspiration in regards to some energizing coffee alternatives to enjoy this fall! Please let me know your own favourite options in the comments below! Also, if you experience fatigue make sure to download my free guide “Fatigued to Fabulous”, which includes a quiz to help you identify and treat the underlying cause of your low energy. 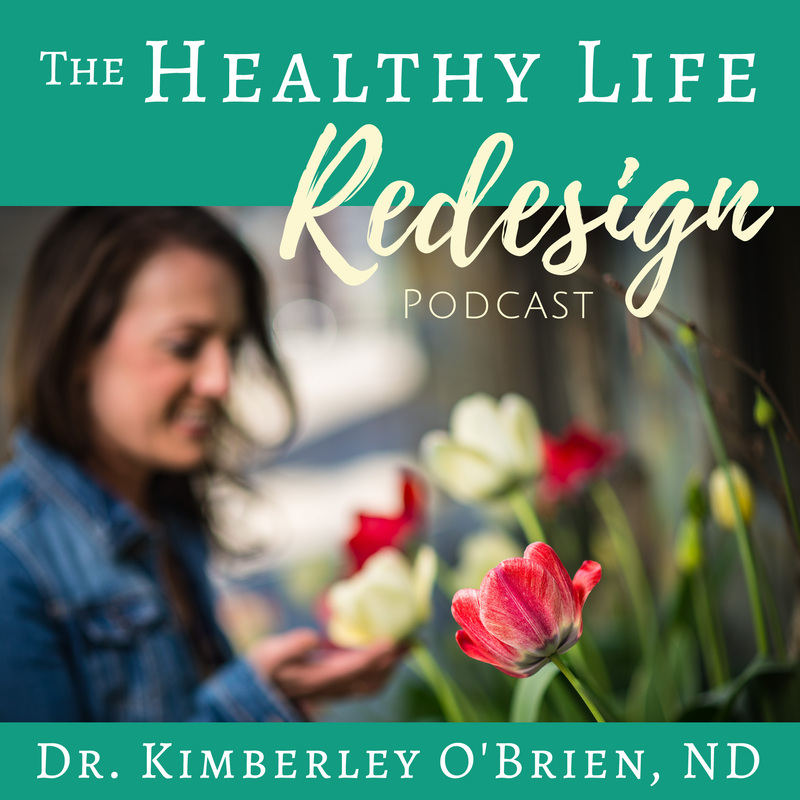 You need energy to live a life you love, and identifying WHY you’re so tired is the first step towards feeling like your best self again!